There are many different types of ponds. These ponds are also constructed using a closed system which recycles its contained water supply via a pump and plumbing. However, koi ponds rely on hi-tech filtration, UV sterilizers, usually straight drop-off pond walls. Koi ponds may be lined with pond liners or concrete. The idea of MOST koi ponds is to have absolute perfect water parameters for means of breeding and raising top quality fish. This of course does not mean that any of the other types of ponds listed here are not capable of raising koi and other fish. However, it is the primary objective for this style pond. MOST koi ponds will have unattractive plumbing, pumps and liner showing since hiding these components is not a priority to MOST koi ponds. 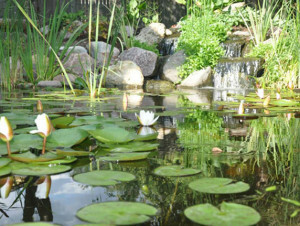 Some newer developments are mixing the KOI POND style with the traditional WATER GARDENS. We like to call these “HYBRID KOI PONDS”. By far the largest group of ponds, A WATER GARDEN pond is a CLOSED SYSTEM much like the above Koi pond. Any series of filters and components may be used in this system. 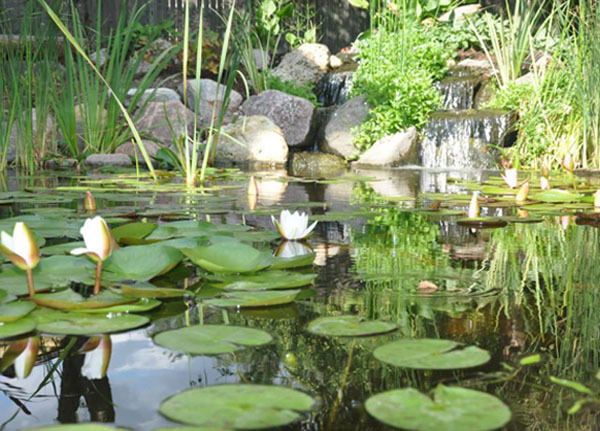 Water gardens are meant to be a BALANCED ECOSYSTEM utilizing fish, plants, rocks, gravel, beneficial bacteria and filtration to create a natural looking pond with little or no exposed equipment. These ponds have the liner completely covered and all pipes and plumbing out of site. Older ponds are traditionally made of concrete. This building method is rarely seen in new pond construction but was once popular before all of the new pond technology began to develop about 15 years ago. Because it can and always will crack concrete has gone to the wayside making way for EPDM and other rubber products. There are some incidents that will warrant the use of concrete but many more that make it obsolete. 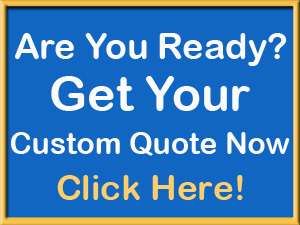 In the cases that concrete is used you must make sure your pond contractor uses the correct concrete and sealer. We often refer to retention ponds and farm ponds simply as LAKES. Because this is not a CLOSED SYSTEM, it is very difficult to keep them sparkling clear like a water garden. A LAKE or MUD POND does not use any means of liner. Water may seep into the soil or flow out down streams if equipped. Some may have drainage lines or streams that flow into them. This is called an OPEN SYSTEM, which means the water is constantly being flushed out and replenished. Even a lake pond without streams is still considered OPEN, as water will slowly seep out into the ground. Found at most home improvement stores, these tub-like ponds require minimal investment. They are very difficult to keep clean due to the limited filtration but are a good way to enter the hobby on a budget. It is important to note also that they are a bit more difficult to install and can be prone to shifting. 0 Responses to "How to choose the right pond for you"